When Red One was unveiled to the larger public at the end of June everybody was taken aback by our choice of an asymmetrical car with three fairings. Compared to the previous car, The RED Engine, this has been one of the biggest changes. 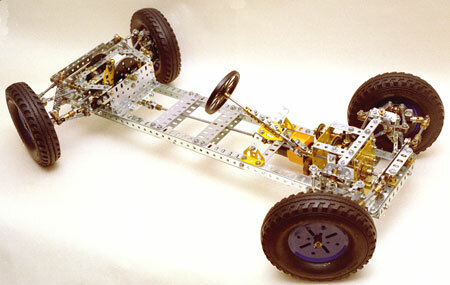 But that is not all; this car houses yet another surprise: four steerable wheels. A regular car uses the two front wheels to steer but it is in Solar Team Twente’s nature to take a wholly different approach: four steerable wheels! Red One is the first solar car that uses the so-called four-wheel steering in the history of Solar Team Twente. When the driver has to make a sharp turn, he can turn the rear wheels in the opposing direction as the front wheels. This way, Red One’s turning radius, which is usually 24 metres, has been reduced to 16 metres. But why is this not applied to every private car? In the past it turned out that it is very expensive to install rear wheel steering in private cars which is why it still is not (yet) one of the standard features of every car. In the matter of the aerodynamics, four-wheel steering has no advantages for a regular private car. It is mainly used in sports car to improve their mass balance when they steer into a bend at a high speed. The Bridgestone World Solar Challenge will start on Sunday 18 October. Follow the team in their preparation to and during the challenge via Facebook, Twitter, Instagram, the news letter Red News and do not forget to check our website.